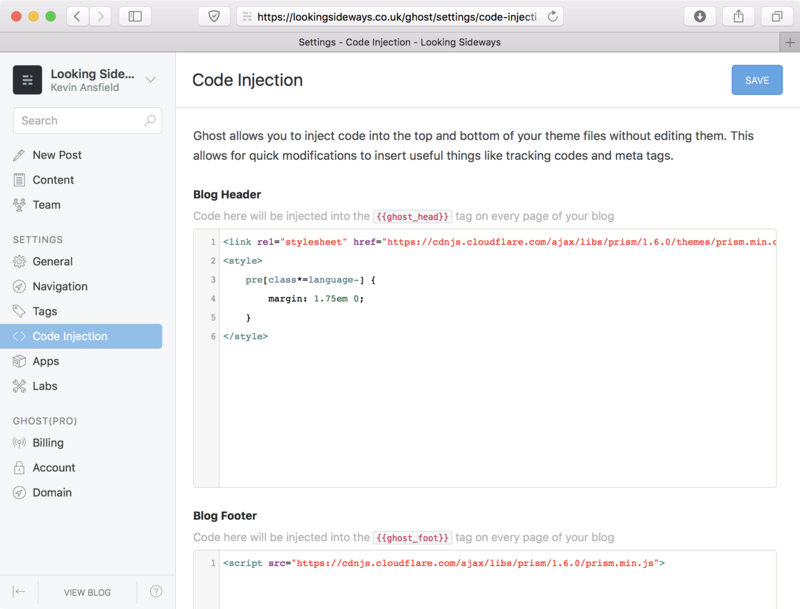 Ghost has a neat feature called Code Injection that allows you to add any code you want to your blog's header and footer without messing around in theme files. First, open your admin area and visit the Code Injection screen - you'll see two code editors, one for the blog's header and one for the footer. Hit save on the Code Injection screen and... that's it! It's worth exploring the Prism.js website and checking out what's available on the cdnjs prism repository. There are some neat plugins and additional syntax themes available.